Apple co-founder Steve Wozniak is bullish on the Blockchain platform Ethereum, saying the technology could be the next Apple. Addressing the gathering of over 5,000 people at "WeAreDevelopers" conference in Vienna, Austria on Friday, he said: "Ethereum interests me because it can do things and because it's a platform." Ethereum is an open-source, Blockchain-based distributed computing platform and operating system featuring smart contract functionality. It is a decentralised platform for applications that run exactly as programmed without any chance of fraud, censorship or third-party interference. Wozniak has always been a fan of Bitcoin and other cryptocurrencies. 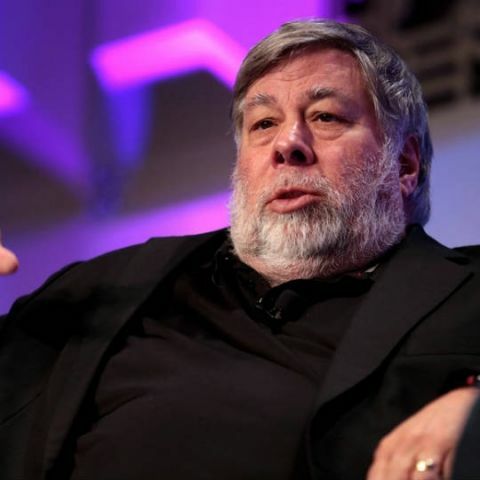 According to a report in CoinTelegraph, Wozniak said that "he has a very positive outlook on blockchain and virtual currencies due to the fact that they can change many different areas and industries". The blockchain and cryptocurrencies will achieve their full potential in a decade, according to Wozniak, who hailed the technology as "the next major IT revolution that is about to happen". Apple's co-founder quoted Twitter CEO Jack Dorsey who recently said that Bitcoin will become the world's "single currency". Wozniak said he believes in Bitcoin because it is not related to a central authority--governments--and because it is based in mathematics, so it cannot be altered, "it is pure". At the "Money 20/20" conference in Las Vegas in 2017, Wozniak said Bitcoin is better than gold and the US dollar.